Arsenal’s boss Unai Emery does not like using two strikers at the same time but Aubameyang and Lacazette want to be playing so he has found a pattern to determine who stars certain matches. 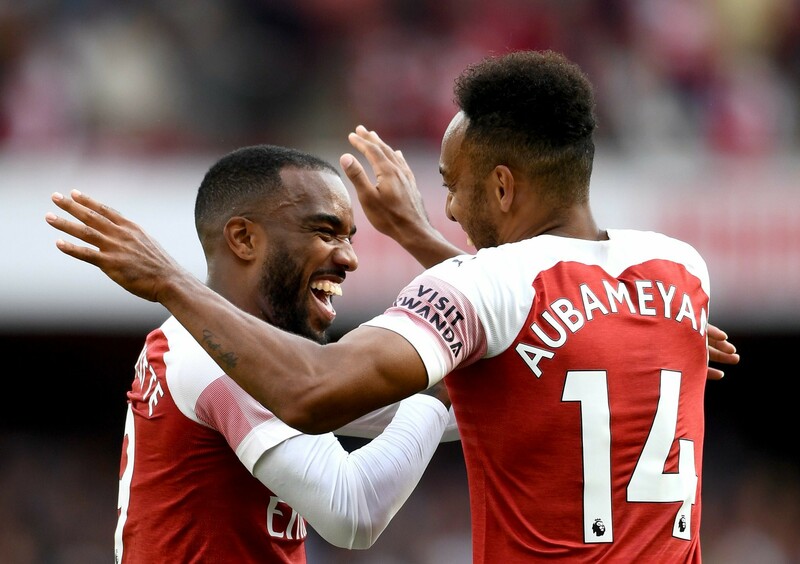 Arsenal has two world-class strikers (Pierre-Emerick Aubameyang and Lacazette) in its record books and even though its good that they have both but making them happy isn’t easy because Unai Emery has to either bench one of them or use them both at the same which sees him abandon his preferred 4-2-3-1 formation. Unai Emery has for a long time been saying that he wants balance in his team because he wants them to defend as a team, and that isn’t easy when you have two strikers on the pitch so that’s why he has sometimes opted to be using one of them. In the last few matches, it seems Arsenal’s boss Unai Emery has found a pattern to use when choosing one who starts because Lacazette started the Southampton game, got benched against Bournemouth and started in the North London Derby. So it seems Unai Emery has decided that Mesut Ozil and Aaron Ramsey being in the starting eleven will determine who on Alexandre Lacazette and Pierre-Emerick Aubameyang starts a certain match. It’s clear because Mesut Ozil and Pierre-Emerick Aubameyang started in the matches vs BATE Borisov and Bournemouth while Aaron Ramsey and Alexandre Lacazette were in the starting eleven that faced Southampton and Tottenham Hotspur. Tactically, what the Arsenal boss is doing is great because Ramsey and Lacazette link up well which is great in unblocking defences of teams whereas Mesut Ozil who is very creative would probably prefer to play with a fast striker so that he can be giving him the necessary passes that could get the gunners goals. The other advantage of the Ramsey-Lacazette partnership is that these two players have an immerse work rate and that’s something that Unai Emery values so much. The only disappointing thing about this tactic or strategy by Unai Emery is that the club has let Aaron Ramsey leave the club so we will only be seeing this for the next few months but maybe that’s why Denis Suarez has been brought at the Emirates Stadium to become the replacement of the Welsh international.